June 2 – August 10, 2019. The application deadline is January 30, 2019. The Undergraduate Research Program is offered in collaboration with MIT’s Department of Brain & Cognitive Sciences. 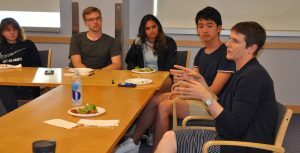 The program provides a unique opportunity for students who do not have access to cutting-edge research facilities at their own institution to conduct supervised research in a fast-paced environment with state-of-the-art research facilities, and to experience first hand the academic, social, and cultural environment at MIT. 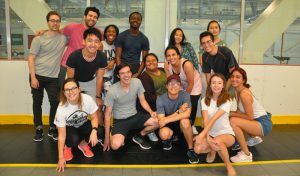 The program is designed to encourage students from under-represented minority groups, first-generation college students, students from economically-disadvantaged backgrounds, and students with disabilities to attend graduate school and pursue a career in basic research by providing them the opportunity to conduct supervised research in an outstanding research institution, in a supportive learning environment with plenty of interaction with graduate students and faculty. Over 85% of past participants have enrolled in highly ranked graduate programs within two years of completing this summer program. A number of our summer students have been awarded Goldwater Scholarships, pre-doctoral NSF fellowships (GRFP), or Howard Hughes Medical Institute (HHMI) Gilliam Fellowships for Advanced Study. MIT undergraduates are not eligible for this program. If you are an MIT undergrad, see the UROP Program website. 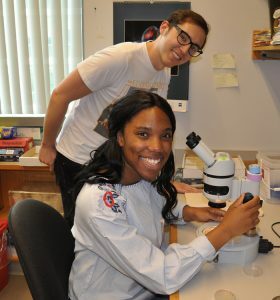 During the program, students work full-time in the laboratory, participate in weekly meetings with faculty, and attend weekly academic seminars. The weekly seminars are designed to help students improve their presentation skills and to be more competitive graduate applicants, and cover topics such as applying to graduate school, giving an oral presentation, writing a research abstract, and learning about various career options available to PhD graduates. Students will also have the opportunity to attend departmental retreats, research seminars and symposia, learn about the graduate application process and meet with various MIT faculty members. The program solicits constructive and timely feedback from the students through the use of weekly surveys. At the end of the program students give a poster presentation on their research, submit a 5-page research summary, a one-page personal statement about their summer experience at MIT and complete a program evaluation. All MSRP-Bio participants are eligible for to have their graduation application fee waived for any MIT graduate program. You will also have subsidized access to MIT athletic activities. * At least one letter must be from a research mentor or lab supervisor. Students with no prior research experience are not eligible. Please note that you must include a letter of reference from your last two years of research experience. If you have additional questions about the application, contact msrpbio@mit.edu. 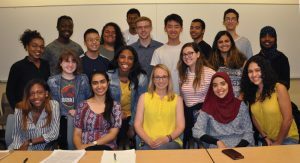 This summer internship program is funded in part by the National Science Foundation, the MIT Department of Biology, and generous gifts from private donors.